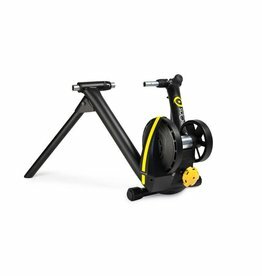 We have this trainer in store set up with a smart device ready for you to try, either bring in your bike our use one of ours and demo this trainer today. -Noise level at 20 mph is 64 decibels, quiet enough to ride in a library. 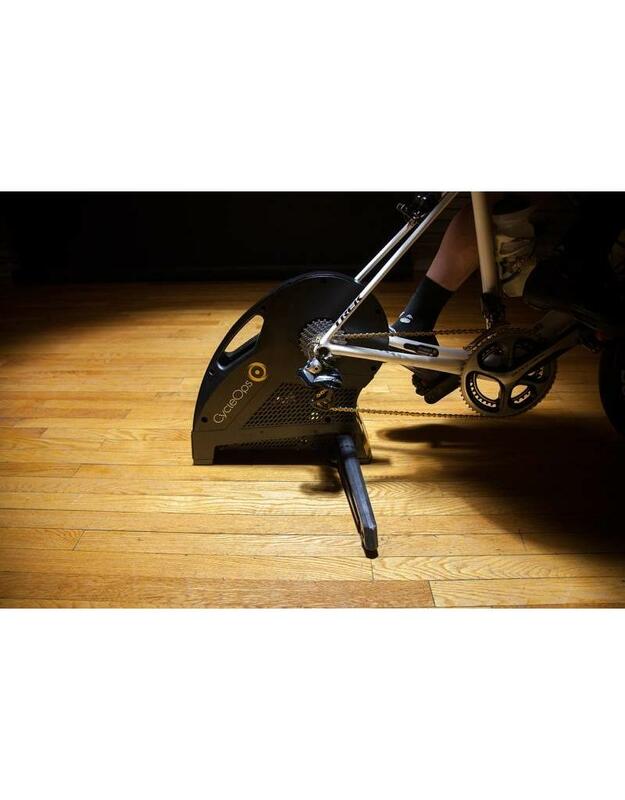 -PowerTuned using PowerTap technology for accurate power readings. -Thru-axle compatible for bike frames with fork widths of 142 or 148. -Quick-release compatible for bike frames with fork widths of 130mm and 135 mm. -Integrated dual ANT+ FE-C and Bluetooth 4.0 technologies. -Compatible with a wide variety of devices and virtual training application, including Rouvy, Zwift, TrainerRoad and many more. Contact us with questions about compatibility with other software. 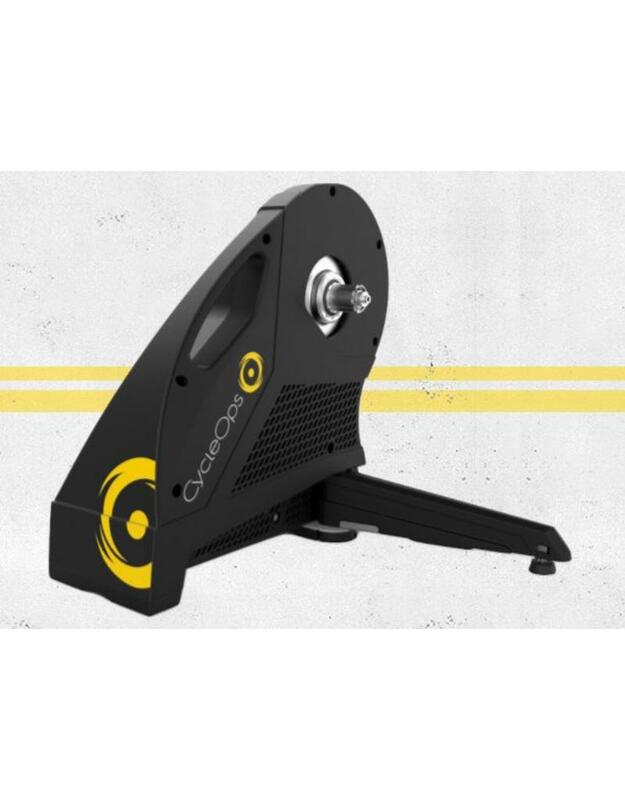 -20 lb precision balanced flywheel provides quiet, vibration free and true-to-the-road riding experience. -Fast response electromagnetic resistance ensure most responsive resistance and maximum power available. 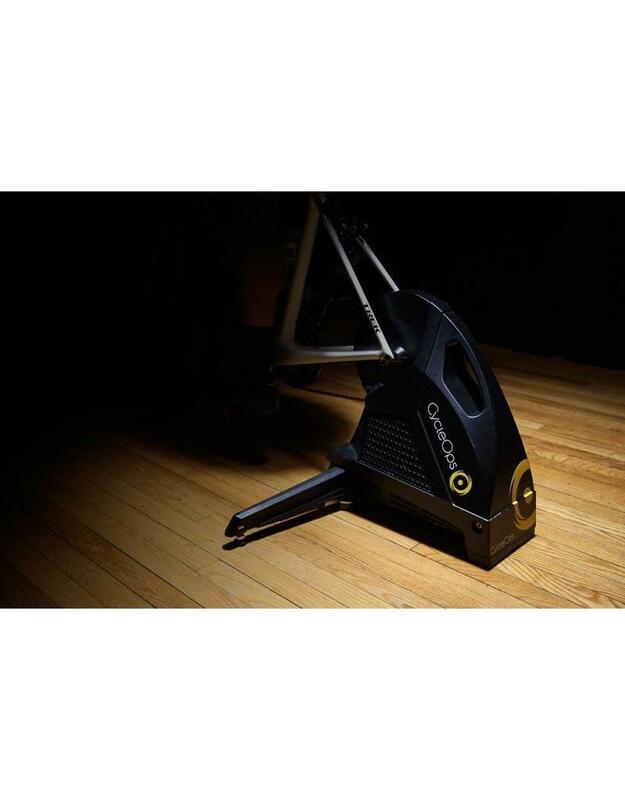 -Robust design is capable of handling up to 2000 watts at 20 mph and can simulate up to a 20% climbing grade. 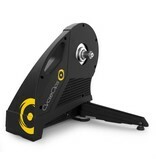 -Direct drive design directly connects the bicycle to the resistance unit, eliminating tire wear. Integrated front wheel tray adds stability to ride without taking up any extra storage space. 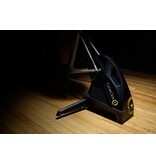 -Internally cooling technology ensures accurate ride data even during the hardest of workouts. 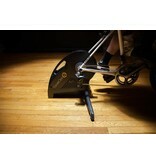 -Integrated front wheel tray adds stability to ride and nests within the trainer when not in use. 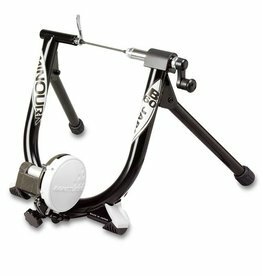 -Folding legs provide widest footprint of direct drive indoor bicycle trainers on the market for added stability and easy storage. -Includes a Shimano splined freehub for compatibility with Shimano 8-11 speed cassettes. -Accessible and balanced handle allows for smooth, anyone-can-carry transit of the trainer. -Over the air (OTA) firmware updates via Bluetooth 4.0 devices ensures the Hammer is up to date. -300 lb (136 kg) maximum load – excluding bicycle. -Dimensions when Open L*H*W: 31”x18.5”x19.5” (787.4x469.9x495.3 mm). -Dimensions when Closed L*H*W: 8.5”x18.5”x19.5” (76.2x469.9x495.3 mm). -Weighs in at 47 lb (21.3 kg). 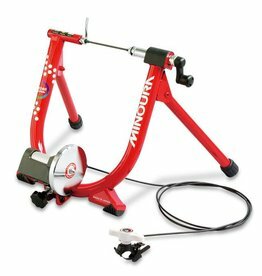 -All of our trainers are tested to the combined weight (rider and bike) of 300 lbs. 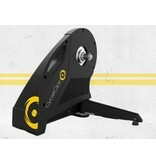 -PowerTuned using PowerTap technology for +/- 3% accurate power readings. -Transmits power and speed data. -ANT+ and BlueGiga USB sold separately. Great trainer if you ride MTB, possibly the only one out there that copes with Thru axle. very realistic feel to climbing.